Ah, Majora's Mask. For years now, Zelda fans have been praying for and speculating about a sequel or remake to the beloved Nintendo 64 game, and Nintendo has teased us constantly about the possibility. But we haven't seen anything yet. I just sat down with Eiji Aonuma, the man in charge of all things Zelda over at Nintendo, and although our interview was mostly about Hyrule Warriors, I had to slip in one Majora's Mask question. You guys would've killed me if I hadn't. Schreier: I have to ask... I asked readers what questions I should ask you, and the number one question was that you've hinted so many times about a new Majora's Mask or a Majora's Mask remake for the 3DS—will we ever see that? Aonuma: I do know that fans want to see Majora's Mask. I've heard that voice, it's very, very strong, and I'm always listening, is what I would say. 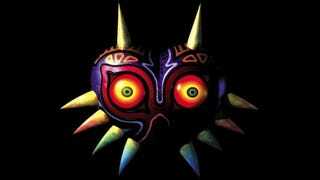 Schreier: I think people reacted to the teaser in A Link Between Worlds, the mask in the house. People saw that and thought it was a hint for the future, so that's why people are excited about that. Aonuma: Maybe I was toying with them a little. (laughter) I'm doing everything I can. I hear the voices of the fans. There are so many out there. It's very loud, and just to acknowledge the fact that the need, the want is out there, I put that in there. Teases upon teases. Maybe next E3?